Wonder why I’ve been relatively quiet online recently? 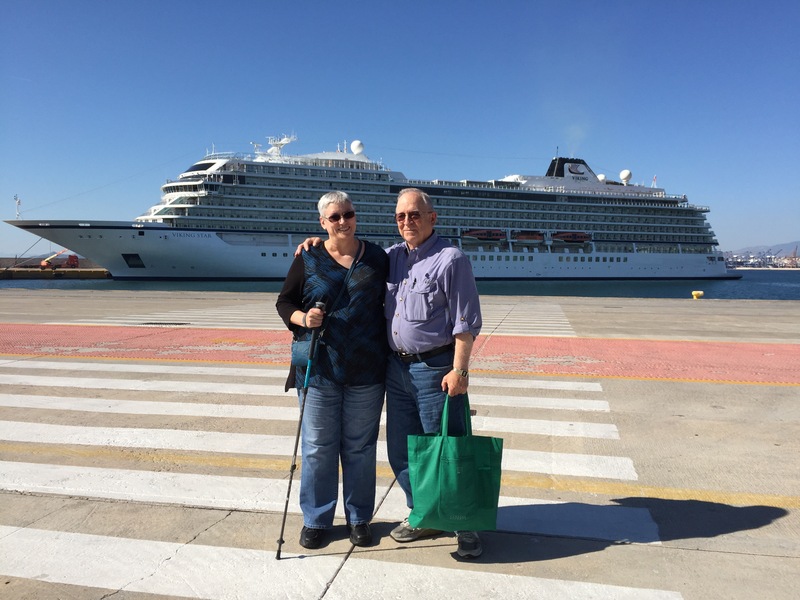 I just returned from a 15-day “Cities of Antiquity” cruise in the Mediterranean aboard the Viking Star. This trip gave me a much-needed mental health break–I actually spent two whole weeks on something other than lung cancer (though I did sneak online for 10-20 minutes several days). Since I was still rehabbing my foot, I used trekking poles on walking tours and my knee roller on the ship to avoid overdoing. My left foot did not swell or turn blue even on days when my fitbit clocked over 10,000 steps. The tours gave me the most exercise I’ve had in six months, which is probably why I didn’t gain any weight on the trip despite the abundance of food, tempting desserts, and wide variety of gelato flavors. Lots of perspective and leasons learned to be found in other cultures’ 3000+ years of history. We visited Athens, some Greek islands (among them Mikonos and Rhodes), Cyprus, Israel (Jerusalem, Nazareth, and the Sea of Galilee), Naples, Pompeii, and Rome. It was well worth yesterday’s 29-hour travel day (Rome to Seattle) and the upper respiratory infection that followed me home.